ITR & AIIMS BBSR has jointly organized world Diabetes Day-2017 along with regular Satellite OPD camp at RASMI on 18th Nov 2017. A mass programme of walkathon started at 6 a.m from proof gate ( Station Sq. ) to RASMI ITR Colony. 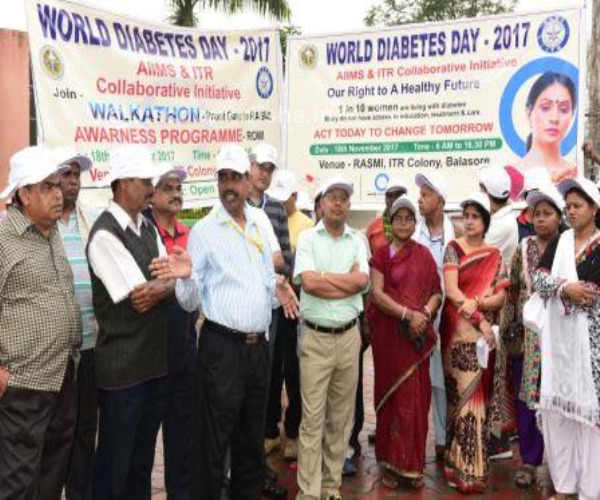 Where in the employees of ITR, PXE, MES, PMU and citizen of Balasore, The objective of this walkathon is to give awareness and message to the society how to make everybody free from Diabetes and keep everybody healthy and happy. 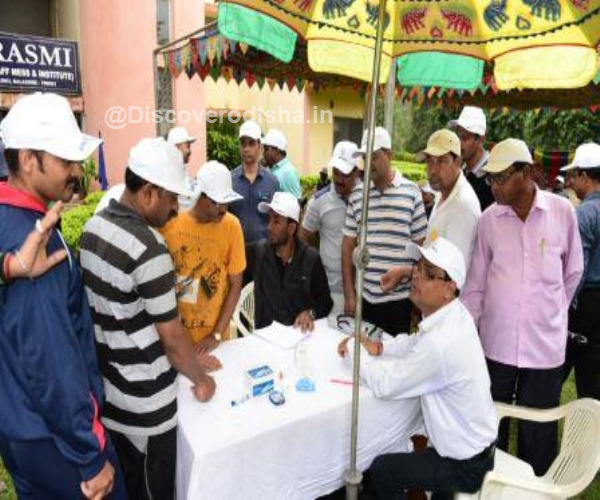 A voluntary screening camp was organized for all to diagonies and measure the sugar level of blood. 17th regular AIIMS OPD was conducted from 9 A.M to 5 3P.M by the specialist Dr. In Diabetes, Dentist and Orthopedic. Around 170 patients were treated afternoon at 4 P.M an awareness programme was organized in ROMI O.T Road, Balasore on preventive and awareness of diabetes also the programme cover the holistic approach to diabetes patient. The programme was chaired by Dr. B.K Das , Sc. 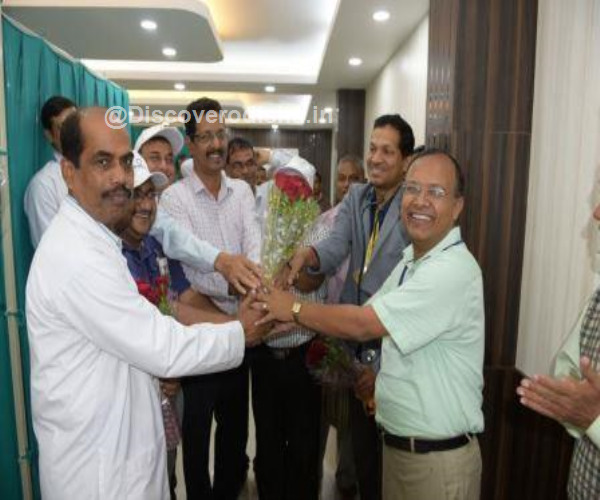 H (OS) director ITR and the technical sections were covered by DR. M.K Mohapatra, chief Medical officer , ITR, Dr. M.C Sahu , Nodal Officer AIIMS and Dr. K.C Behera Head of diabetes department of AIIMS BBSR, The programme was efficiently conduct by S.K Rout, TAB , ITR under the supervision of Sri Niladri Roy, Sc.F, C.R Ojha Sc.f , S.K Pattanaik Sc.E, M.S Hota S.K Behera etc. 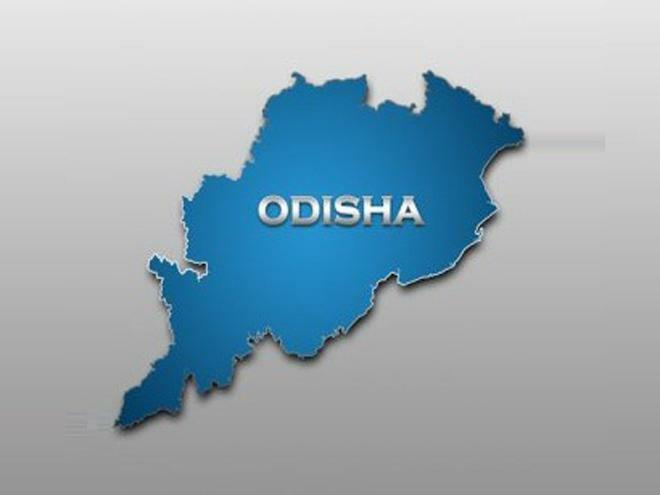 The programme was well appreciated by the people of balasore in presence of media, electronic media and press.